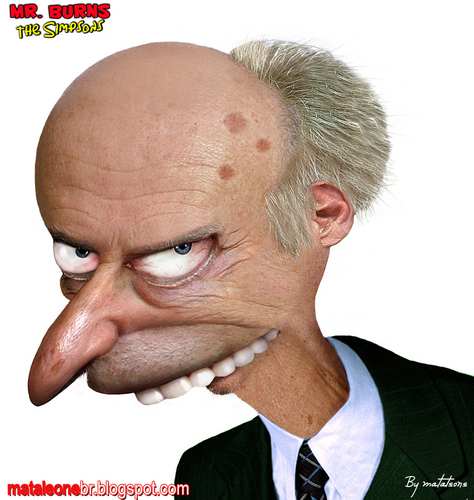 Mr Burns in Real Life. . HD Wallpaper and background images in the Les Simpsons club tagged: the simpsons mr. burns real life fan art 2008 picture image. This Les Simpsons fan art might contain costume d'affaires, costume d’affaires, portrait, headshot, gros plan, and closeup.